Background/Info: Moth was a Danish formation active in between 2012 and 2016. They released several productions and joined hands together with Mass Media Records. This album is a kind of retrospective featuring a selection of tracks that originally appeared on 7” and 12” plus a few unreleased songs. Content: Moth sounds in the truest spirit of the 80s mixing influences such as cold-wave and post-punk. Everything sounds ‘retro’-like and even the few electronic arrangements are vintage-minded. + + + : I like this 80s emulation, which sometimes reminds me of The Cure for the guitar play. The guitar is an essential element of the production, but I also have to mention, the typical deep, bass parts and drums. There also is one great cut featuring female vocals. 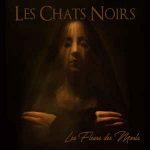 This song reminds me a bit to Siouxsie & The Banshees and reveals another side of this band. 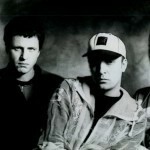 The song “Frozen Tears” is a great piece of ‘cold’ wave music. – – – : I globally like this production although a few ‘softer’ and more evasive cuts are less convincing. 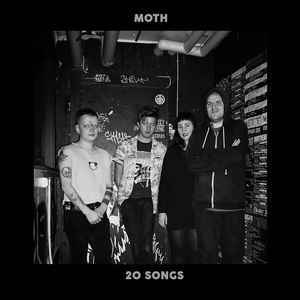 Conclusion: “20 Songs” is the perfect way to (re)discover Moth, which clearly was a talented formation emulating the darkest hours of the 80s. Best songs: “Frozen Tears”, “Measured Time”, “Slow Burn”, “Young Future”.